Who Should Attend? This course is relevant to anyone interested in improving their own lives or the lives of others. Entrepreneurs, business professionals, coaches, teachers, therapists and other people in leadership positions will find that this course provides practical tools for remaining flexible and innovative in the 21st century. Why is this class called Positive Psychology 3.0? Because it is not positive psychology as usual! This integration stands on the shoulders of Versions 1.0 and 2.0. Todd believes this class will offer a new and extremely useful integration of positive psychology research and practice! Can I hear Todd talk about the class? Yes. Todd did a one-hour q&a about the class. You can download the recording of his q&a by clicking here. What is the week-by-week schedule for the class? Understand how to apply this research to personal and professional settings (The emphasis on application is deliberate.) In applied positive psychology, change is the coin of the realm. An enduring focus of this course will be how to take wise action to apply positive psychology to our work, life, parenting and play. Strategies for building resilience, cultivating strengths, and enhancing relationships with clients, family, friends, and colleagues. Drawing on cutting-edge research, Todd will highlight the strong connections between curiosity, positive relationships, and a meaningful life. Instead of standard techniques that attempt to reduce pain or increase positive feelings in the pursuit of “happiness,” this workshop will help people lead rich, meaningful lives. At the end of this course, you will leave with a greater understanding of psychological flexibility, strengths, values, sources of meaning, and the skills to enhance them. You will leave with details on how to use these insights during uncertain, unpredictable, and difficult times.• This includes a deeper understanding of mental disorders such as depression and social anxiety that cause a person’s fluid transactions with the environment to break down so that responses become stereotyped, rigid, and unhelpful. And most important, Todd will elaborate on the paths–and challenges–to creating a meaningful life. What if I miss a class? Are the classes recorded? Yes. Every class will be digitally recorded. The recording and all other class information will be placed on the password protected class website. Will the class have CEUs? Yes. There will be 8 hours of CEUs for psychologists (APA), social workers (NASW), and Marriage and Family Therapists in California. There will also be coach continuing education credits for members of the International Coach Federation. And the class will count toward MentorCoach and ICF certification for MentorCoach students. You must be present for 80% of the classes to receive CEU credit. 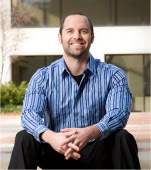 Dr. Todd B. Kashdan is Professor of Psychology at George Mason University. He is the author of Curious? Discover the Missing Ingredient to a Fulfilling Life (William Morrow). He conducts research on curiosity, positive emotions, meaning and purpose in life, mindfulness, gratitude, social relationships, the cultivation of health and well-being, and stress and anxiety. As a clinical psychologist, trained in cognitive-behavioral and mindfulness approaches, he is in a unique position to provide a deeper understanding of how positive psychology can be used to transform people’s lives. Todd is a central figure in positive psychology research, co-author of the book Designing the Future of Positive Psychology (Oxford University Press), and associate editor of the Journal of Positive Psychology. He also knows all or most of the key players world-wide and will bring this knowledge to bear in our class. In 2004, he wrote the chapter on Curiosity in the classic, Character Strengths and Virtues. He has received several awards for his teaching as decided by students and other professors throughout the state of Virginia. He is the parent of young twin girls (he too is a twin) and lives with his wife in Fairfax, Virginia. Kashdan, T.B. (2009). Curious? Discover the missing ingredient to a fulfilling life. New York, NY: William Morrow.